An engaged reader comprehends a text not only because she can do it, but because she is motivated to do it. The students who thrive are not necessarily the ones who come in with the perfect scores. It's the ones who love what they're doing and go at it vigorously. When teachers encourage intrinsic motivation in students by making the reading activities in class relevant, students initiate and persist with the reading tasks. Read more about motivation for literacy! Activities that promote enjoyment of books and appreciation for the usefulness of reading and writing motivate students. Classroom learning communities that engage students in creative, relevant and meaningful literacy activities support the development of motivation for literacy. Student engagement in learning is a predictor of academic success and promotes inquiry and knowledge building. Establishing motivation for literacy is particularly important in the early grades when it may not be obvious to young children why they should care about learning to read and write. However, teachers should strive to make literacy activities motivating at all grades. Once students have a foundation of skills, integrating literacy activities into subject areas can be used to generate interest. Interested students learn more! 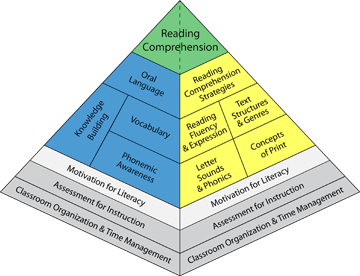 Observe students regularly to determine their levels of motivation for literacy. Do they actively select books? Are they eager to write? Keep in mind that success is a powerful motivator. If students are not eager to read and write, ask yourself why. Is the task too difficult or too easy? Is the topic of interest to them? Focus assessment on finding ways to increase student success, interest and engagement.